"Yi is outstanding as Tong and brings a confidence and swagger to the part, as she creates a thoroughly memorable character." 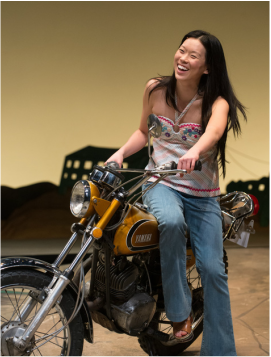 Lights Rise on Grace at Woolly Mammoth Theatre Co.
"Jeena Yi shifts the comedy into high gear as Amanda, a mini-skirted Chinese-American art student Leo picks up and brings home. A tipsy chatterer, Amanda could be a character out of a Neil Simon comedy, but Yi finds a sweet humanity in this over-privileged young woman." "Jeena Yi is a hilarious Amanda, a party girl who traipses into the apartment with Leo in his attempted one-night stand. 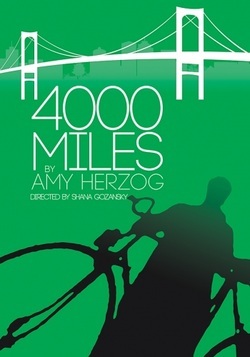 She too is a woman who knows her mind…This is a beautiful production of a beautiful, softly spoken play. The Hangar has a treasure in its hands."